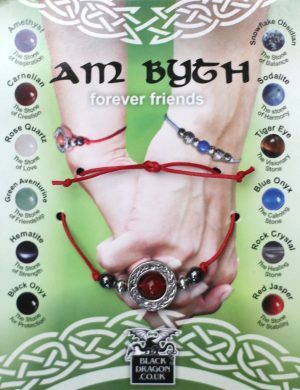 Solid pewter beads with Celtic knots and genuine gemstones, strung on coloured waxed cord and displayed on a lovely postcard. Tie one on your mate, be friends for ever. Twelve stones to choose from.